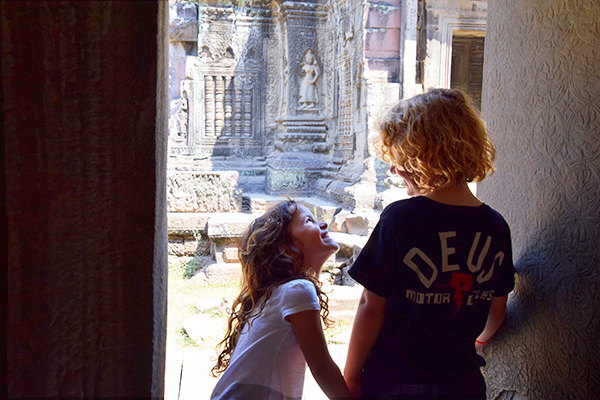 What do you get when you head overseas on a week-long exotic adventure with your bestie and leave the kids behind? Well, besides frequent hangovers. 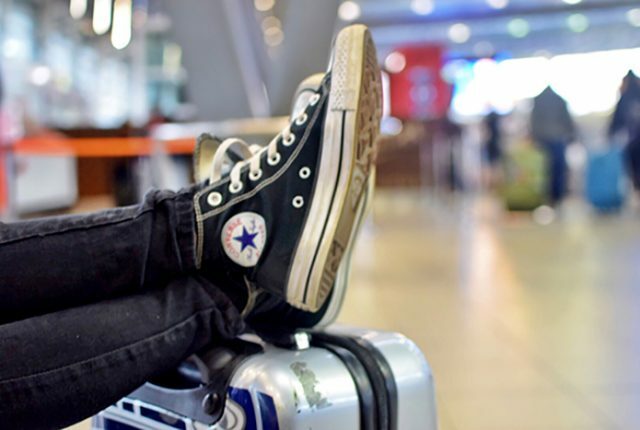 The answer is two rather miffed offspring who are eager for some adventures of their very own. 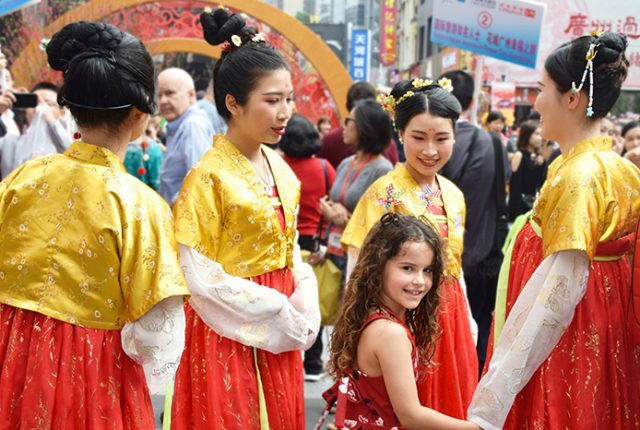 And while they’re full of intriguing suggestions including flying to Morocco for cous cous and trekking the Amazon jungle in search of a tribe prepared to make Raffles their golden god, they seem happy enough when I suggest running away to the Big Smoke for the weekend… by boat! Of course, the boat in question is the Sydney Ferry and the Big Smoke is visible from our lounge room window, but when the destination is the luxurious Park Hyatt Sydney, nestled as it is in its coveted position between the Sydney Opera House and Harbour Bridge, who cares if it’s only a five-minute ferry ride away. 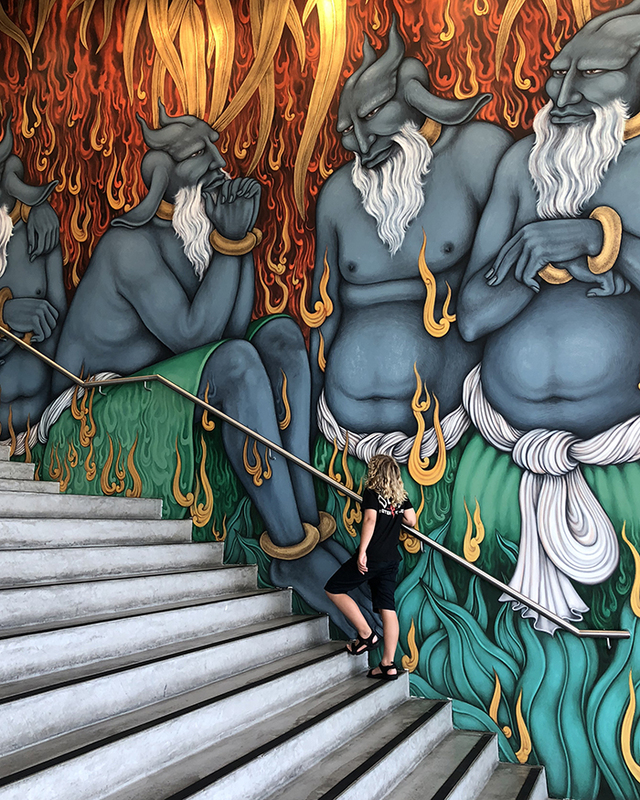 The Park Hyatt is a hotel with a certain special something. Stylish and contemporary, it manages to exude understated luxury, even when invaded by my children. And that is quite the accomplishment. 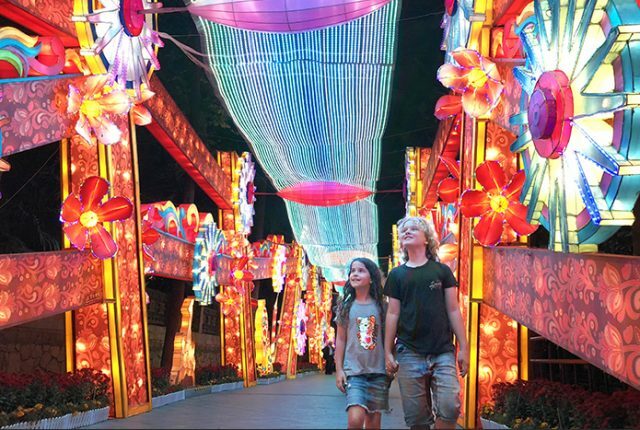 Although in fairness our super short journey means the kids have arrived without a single whined “are we there yet” or any of their obligatory bickering over whose turn it is on the bloody iPad, so they too exude a certain refined calm as we enter. 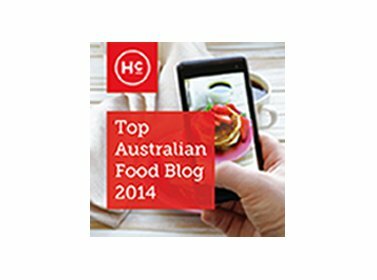 This of course is immediately forgotten once we are led to our room, conveniently located directly opposite the sanctuary of The Spa at Park Hyatt Sydney. As we enter we are informed we’ve won the hotel room lottery and have been upgraded to a Cove Suite, with an adjoining deluxe room for the kids. Whilst I dance on the inside, Raffles and Sugarpuff flip out, running in and out of our many rooms giggling with unmitigated delight. All in front of our Butler who, rather than looking on in horror, merely looks amused by the curly haired whirlwinds we’ve unleashed on his hotel. (And yes, I did just casually slip in that we scored our own dedicated butler, because butler). 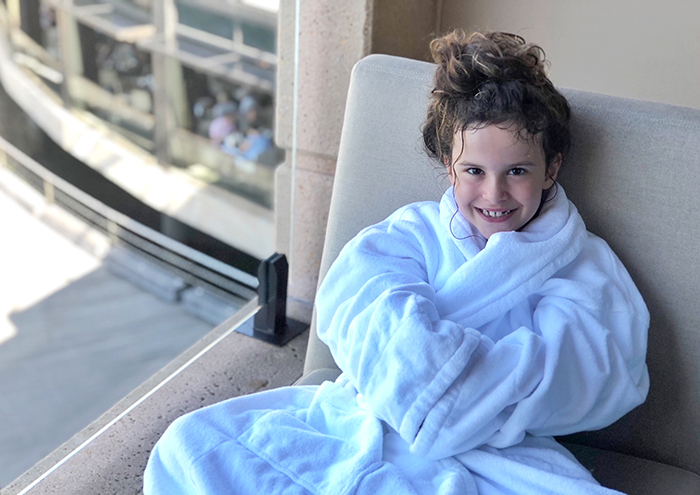 “This place is awesome’’ squeals Sugarpuff, whilst her brother lets himself out onto one of our three balconies and loudly informs the entire city that he thinks our suite is “epic”. Both of them are entirely correct. 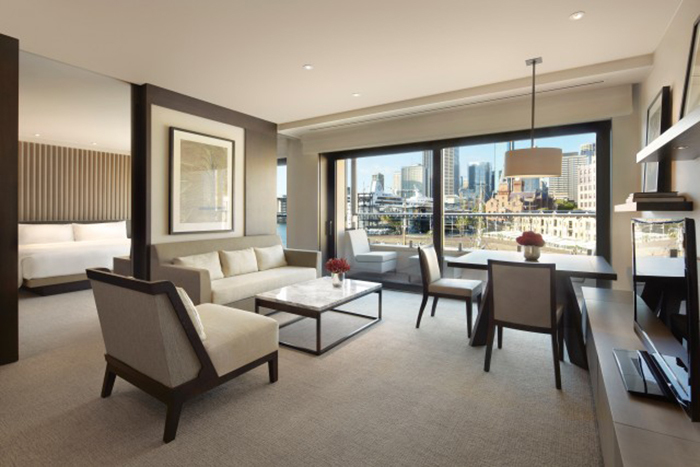 Our open-plan suite is beautifully finished in rich tones of chocolate and cream with naturally-textured fabrics. Floor-to-ceiling glass doors invite the stunning Campbells Cove in and the walls are adorned with artworks from prominent Australian artists. But the piece de résistance is the open bathroom concept, complete with divine Le Labo Bergamote 22 products, and a thick wood panel that slides between the bathroom and the bedroom, meaning one can soak up the views as you soak in the bubbles, or wallow in privacy. This is handy as the kids have discovered the electric curtains, and are hell bent on exposing us to the world at the touch of a button. 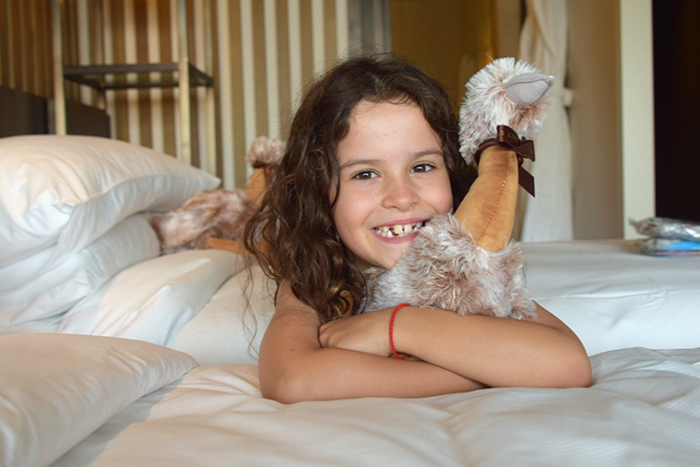 The kids’ room causes more conniptions when they spot the backpacks, design it yourself slippers and beautifully plush emus sitting gangly-limbed on their beds. When they find a Japanese-style toilet complete with bottom warmer and spray, at the exact same moment I find the hidden private bar, we decide to barricade ourselves in and never leave. 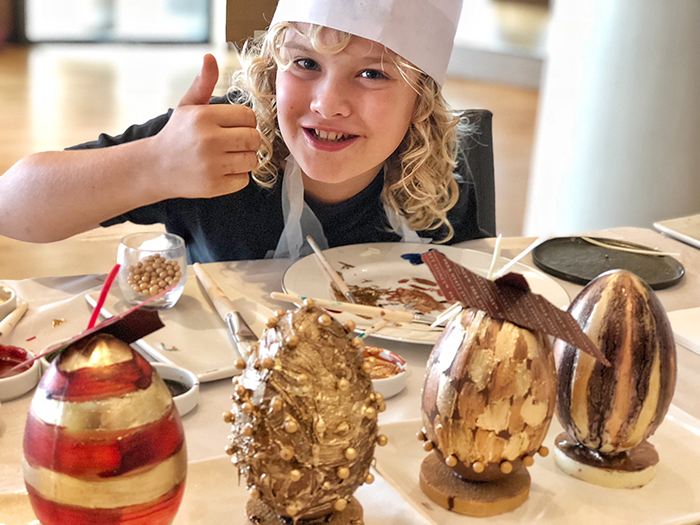 That is until Raffles discovers a special invitation to join the hotel’s Head Pastry Chef, Shlomi, for Easter Egg Painting. We quickly unboard the doors and race downstairs to discover a chocolate paradise. 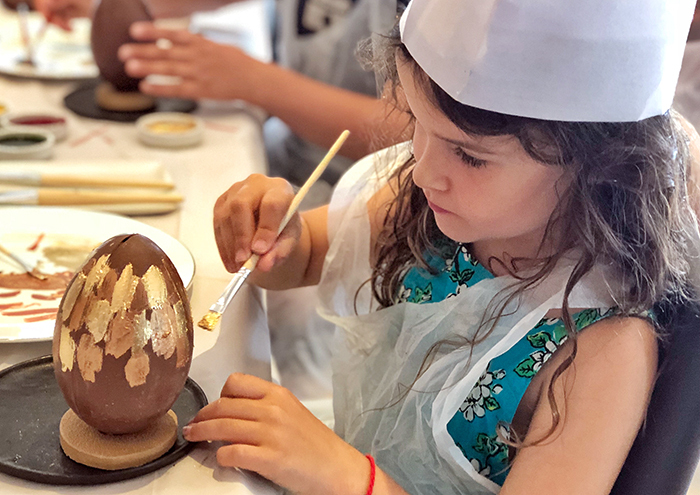 Awaiting each child guest of the hotel are two colossal couverture chocolate eggs, a tray of fine chocolate decorations and a palette of edible paint, ready to be transformed into masterpieces by mini-chocolatiers. 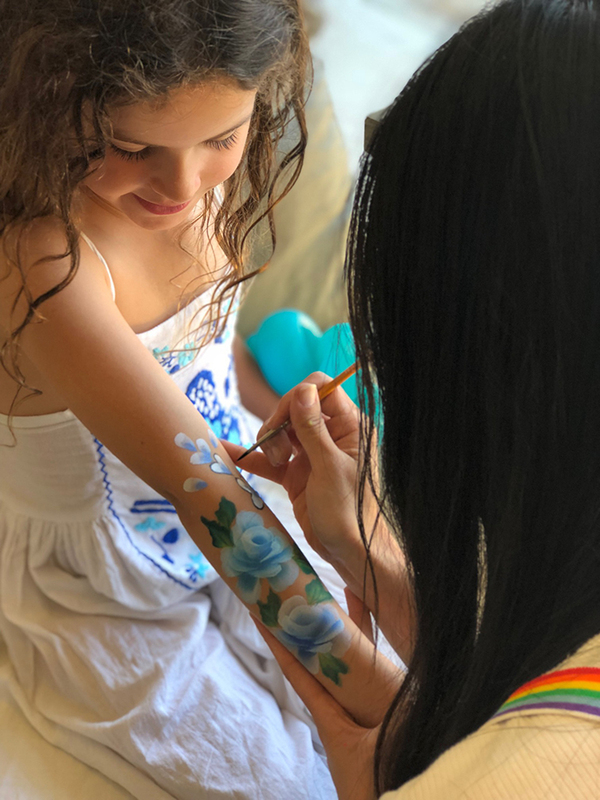 With the assistance of Shlomi the kids paint and stick and style their eggs, at least when they aren’t squirting piping bags of molten chocolate straight in their gobs. 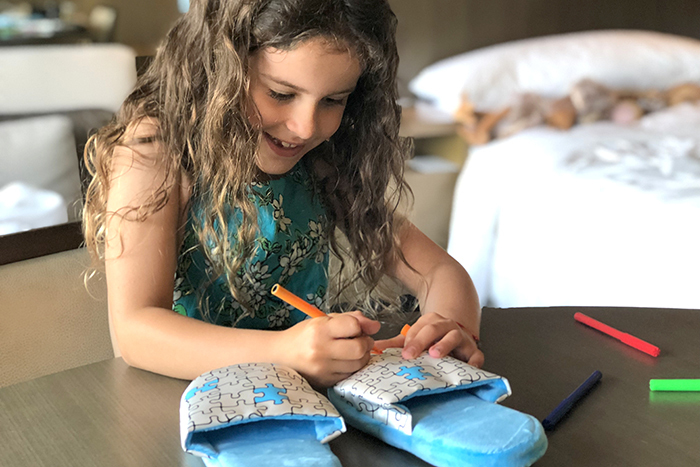 The staff then offer to deliver the kids’ magnificent creations to our suite so they can head straight to the rooftop pool to burn off at least a little of the chocolate they’ve consumed. The kids love that after peeking down from the Sydney Harbour Bridge into this very pool so many times, they’re finally getting the opportunity to be the peekees. 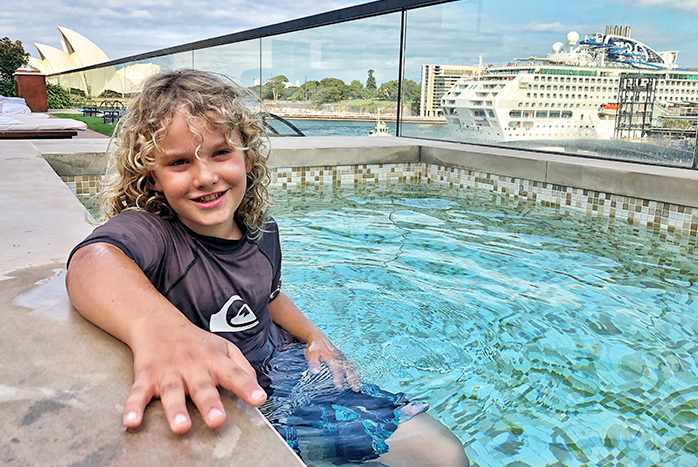 The pool area is beautifully set up with sunscreen for the kids and fluffy white towels waiting on plush deck chairs overlooking The Rocks and Circular Quay. The kids splash and swim and spa away the afternoon, until blissfully exhausted they can splash and swim and spa no more. 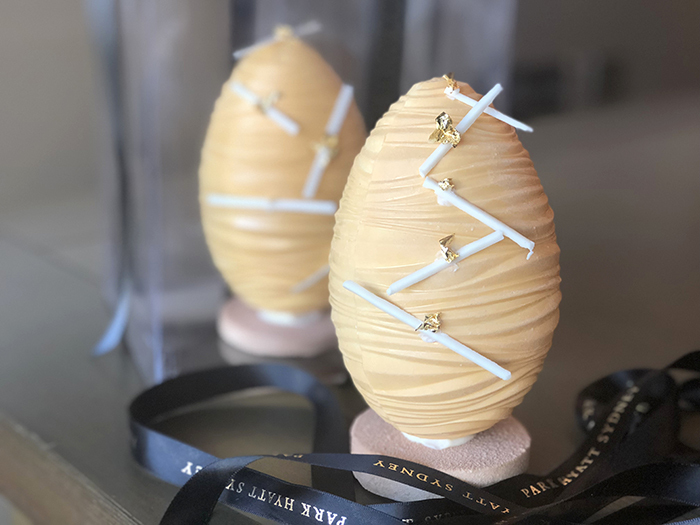 When we arrive back to our suite, not only are their decorated eggs waiting for them, but so are two stunning chocolate creations from the kitchen, which they shovel down as an entrée before dinner. 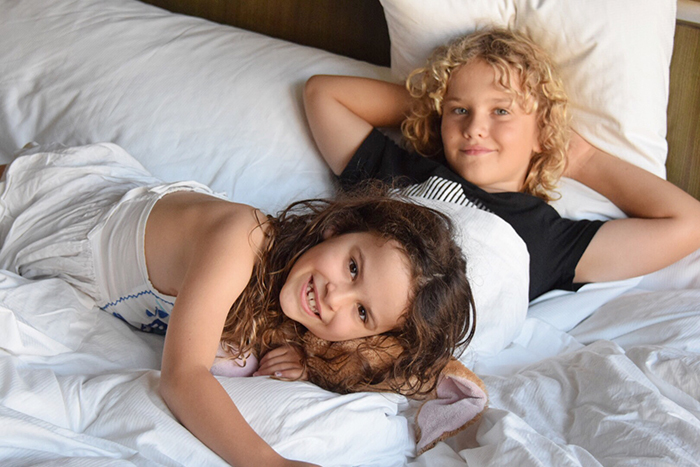 We end our night snuggled up together in the enormous king-sized bed in the master bedroom watching a family movie, with ice cream delivered by the room service fairies, something of a tradition when we stay in hotels. The following morning we watch Raffles consume his body weight, and ours, on Eggs Benedict, cold cuts, cheese, fruit, yoghurt and the finest French pastries at the sublime buffet. 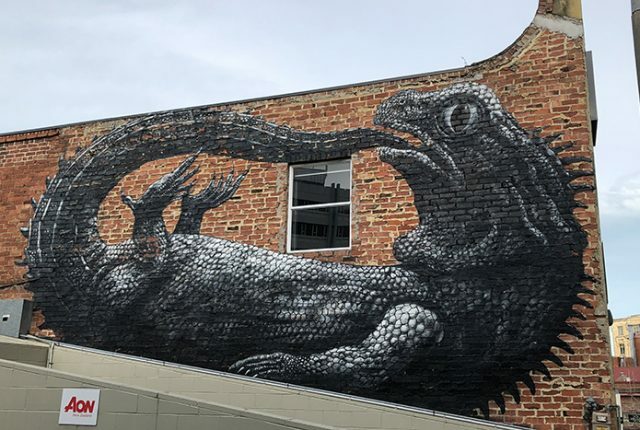 Afterwards we burn off a few of the 6,270,000 calories he has inhaled wandering through The Rocks Weekend Markets and exploring a few of the area’s intriguing historical sites, before popping in for a little cultural edification at the Museum of Contemporary Art. But the Park Hyatt has more surprises in store. 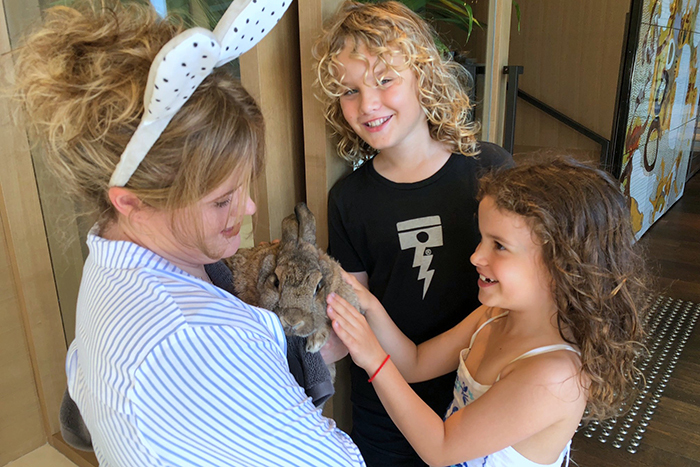 We head back just in time for an epic Easter egg hunt, complete with Easter Bunny and a fluffy real-life bunny. 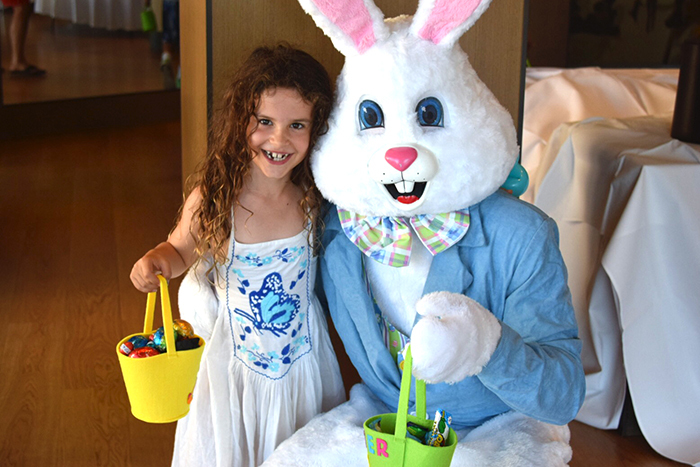 The kids fill up their baskets with chocolate between cuddles which they dole out to both bunnies. Satisfied with their haul, they party with the other little hotel guests, each of whom, armed with balloon swords and wands (and in Raffles’ case a balloon chainsaw) is artfully decorated by the hotel’s incredible face painter. 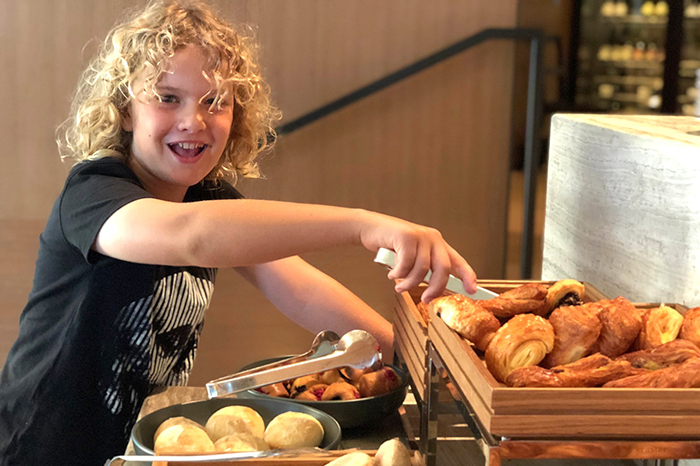 In a hotel that is often viewed more as a luxe romantic destination, the Park Hyatt Sydney is proving itself to be one of the city’s most family-friendly, which is handy because there ain’t going to be any romance for us with this sugared-up duo in tow. 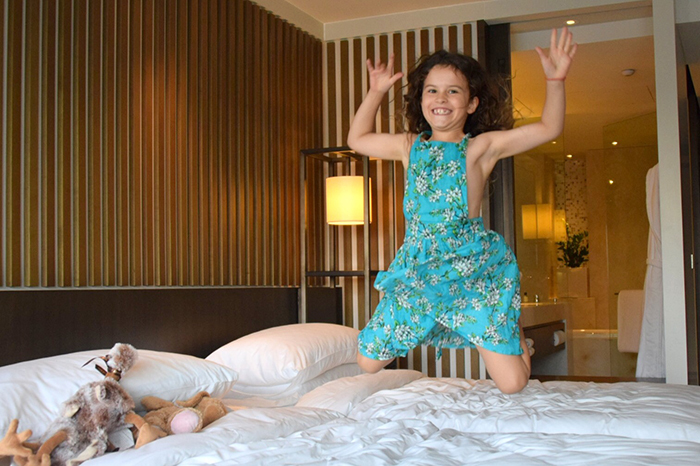 We have such an incredible time, my two hooked on Hyatt kids are eager to return for another night during the school holidays to partake in some of the other awesome kids’ activities, designed for children aged four to 12. 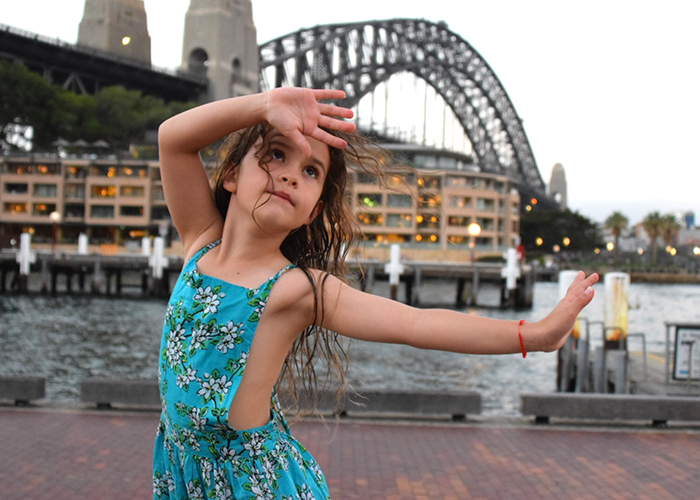 The only catch is that with a Park Hyatt Sydney with kids programme including Family Yoga, A Rocks Junior Tour, Popcorn & Movie Afternoons, plus Kids Painting and Cooking Classes, how could we choose only one? Looks like our initial plan of barricading ourselves in might be a good idea after all. 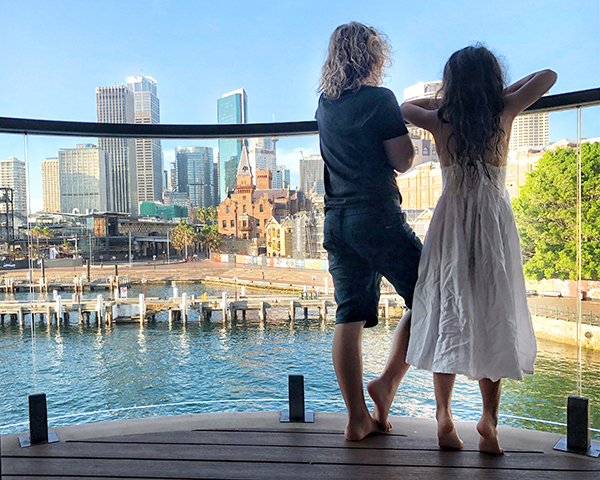 Disclosure: While we were kindly hosted by the lovely folks at Park Hyatt Sydney, all squealing, chocolate munching and opinions are our own. Heaven! I don’t think I’d be able to go back home again after a stay there! I LOVE the Park hyatt! 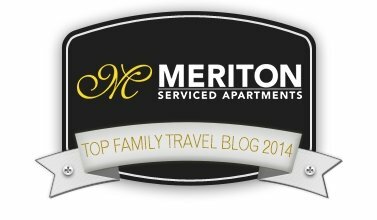 I stayed there with Mum and dad once when we went on a Sydney trip, back when dad could book a discounted rate through work. Such a gorgeous hotel! 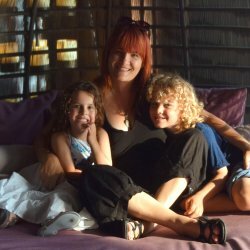 I am officially jealous of your kids ! Sounds like an amazing weekend !